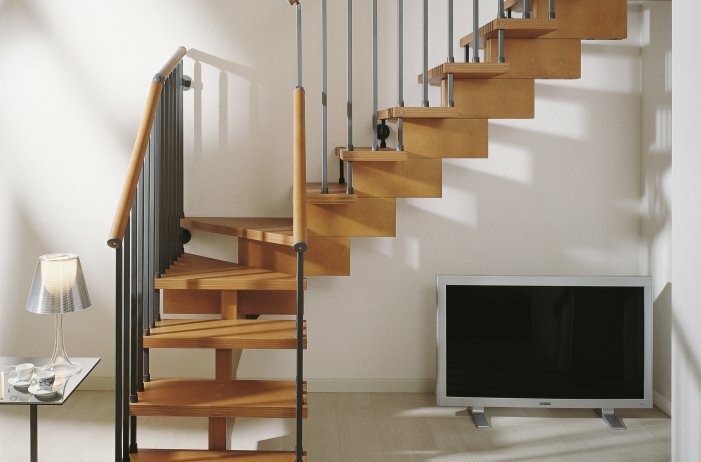 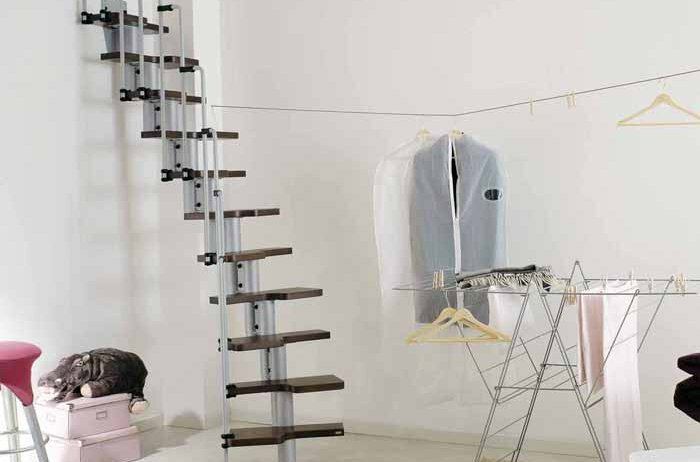 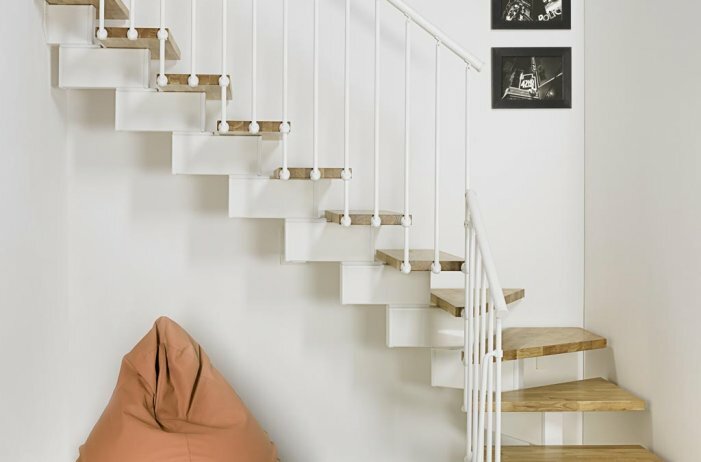 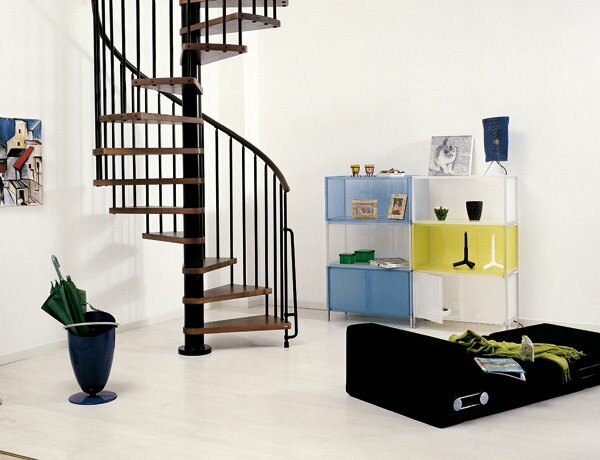 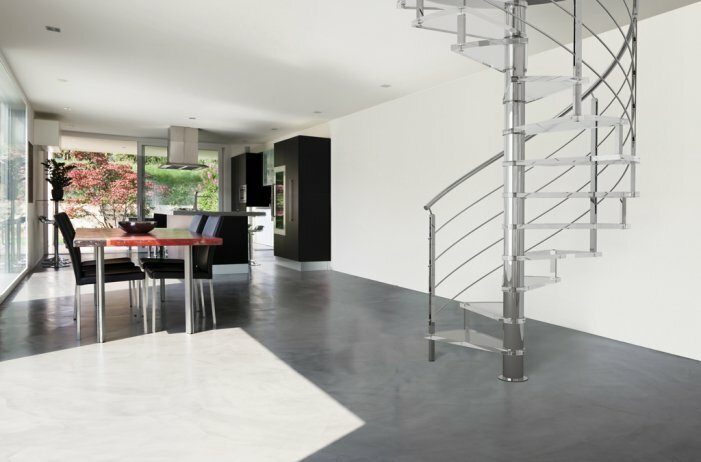 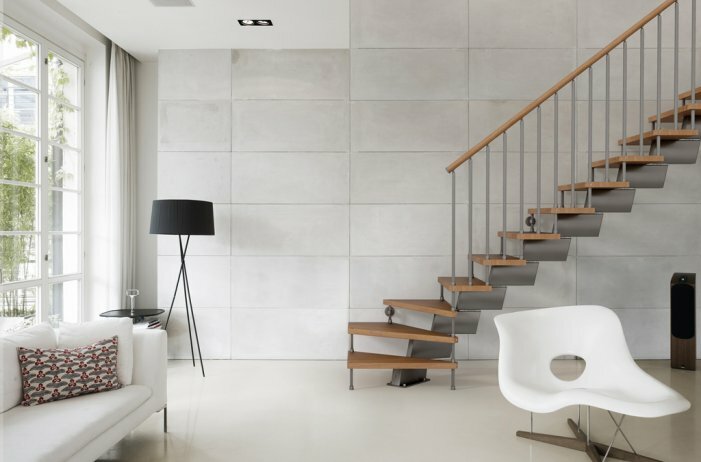 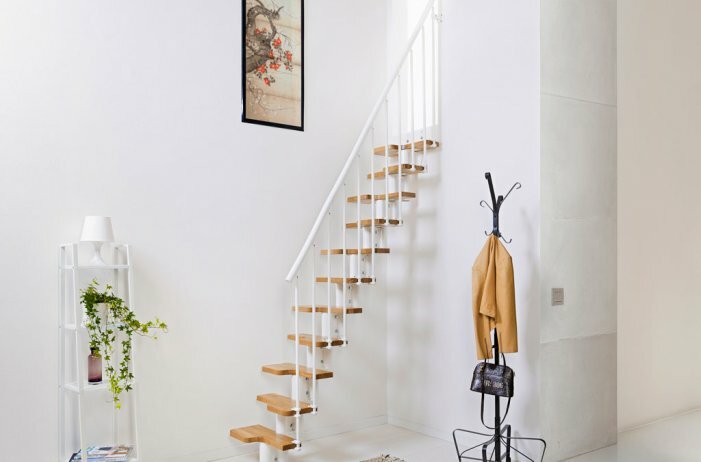 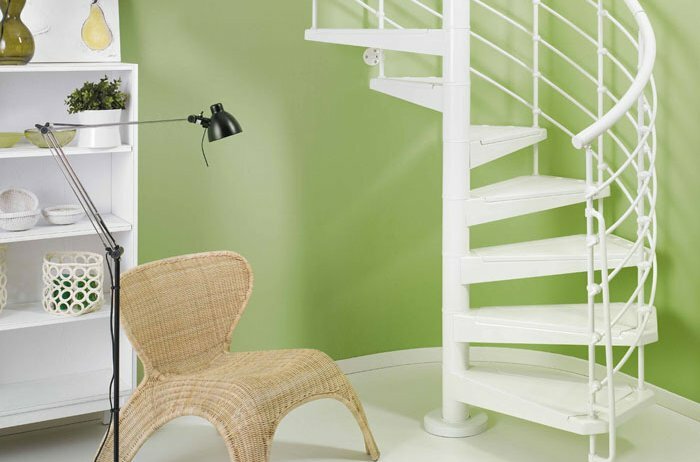 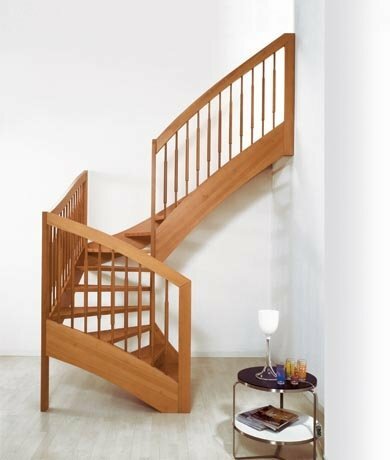 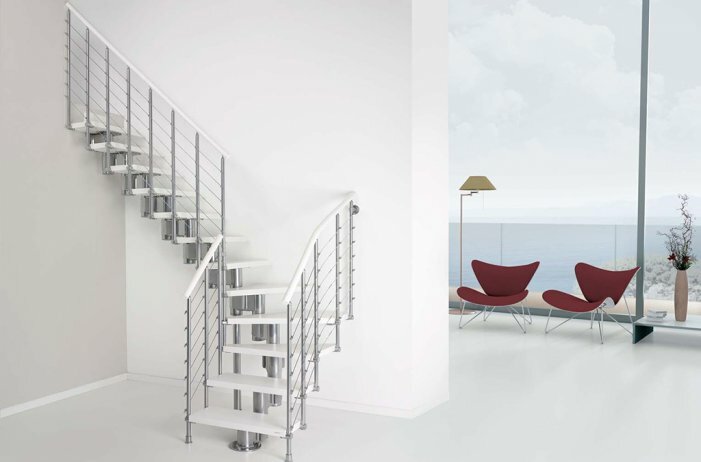 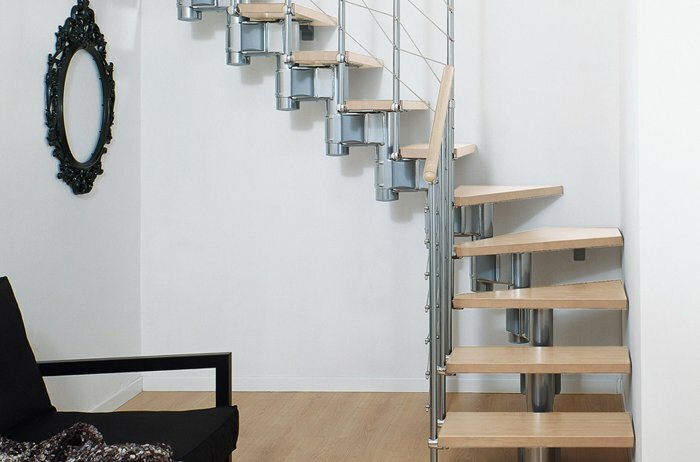 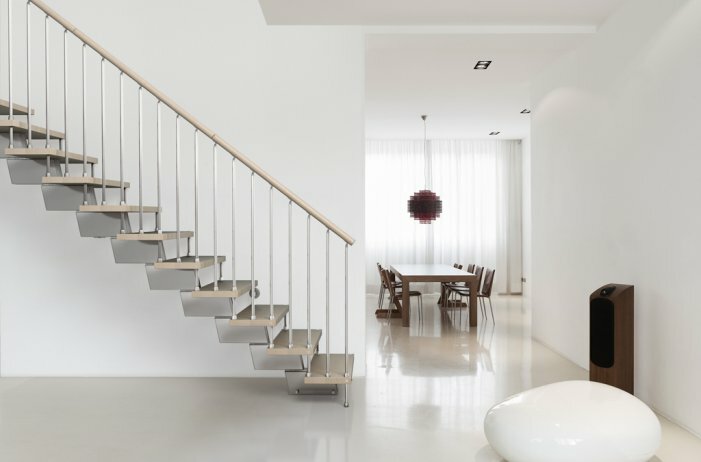 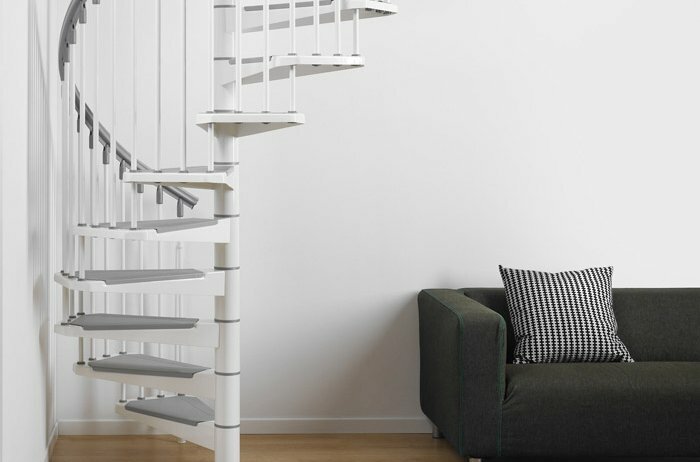 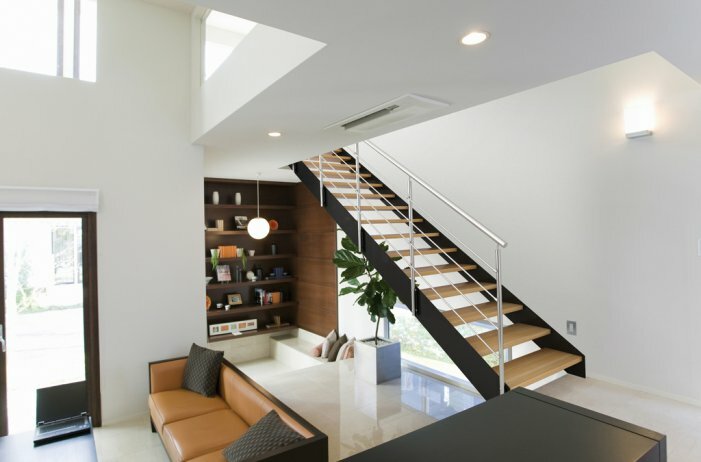 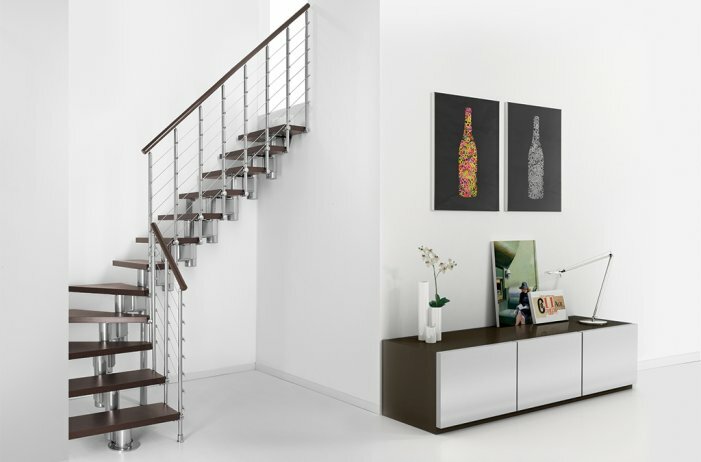 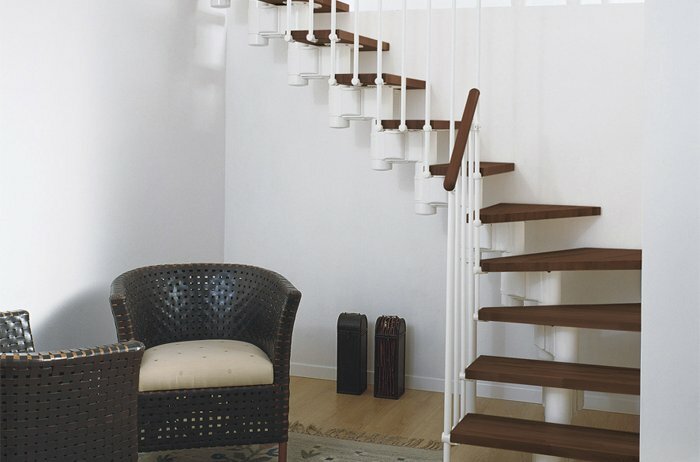 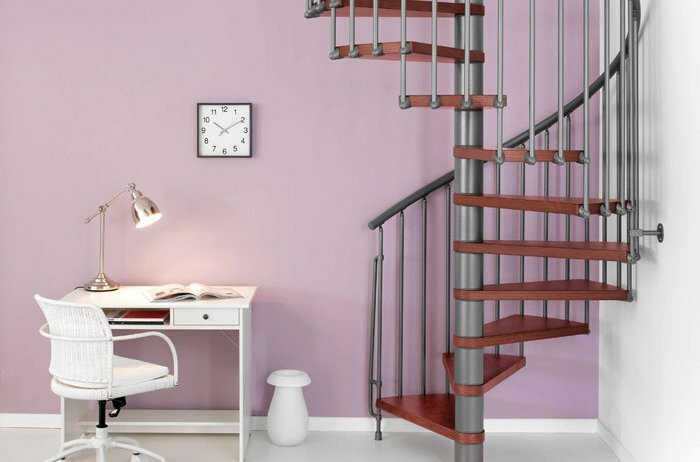 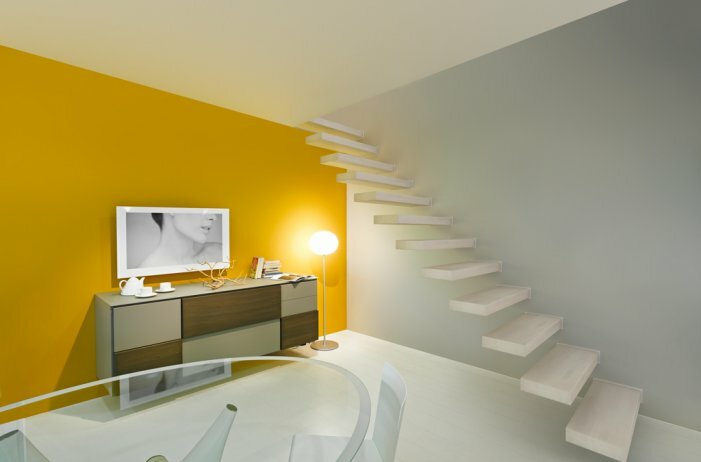 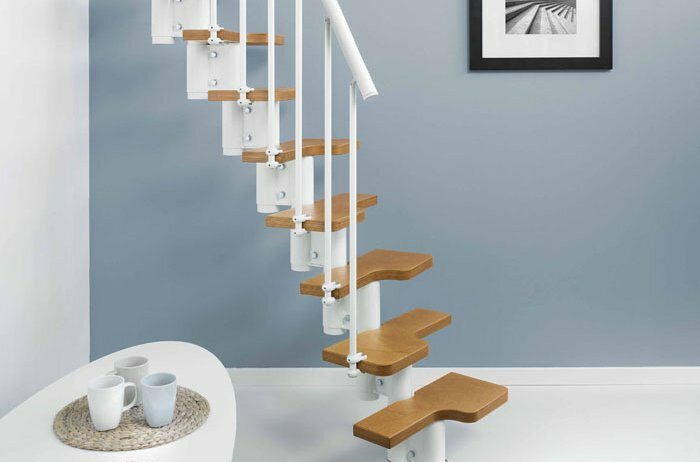 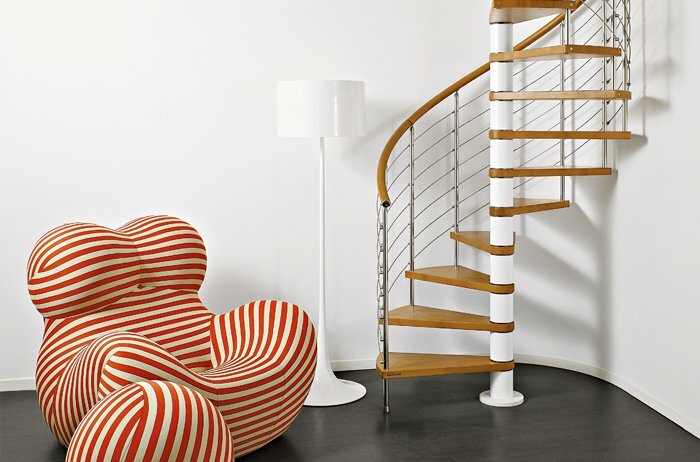 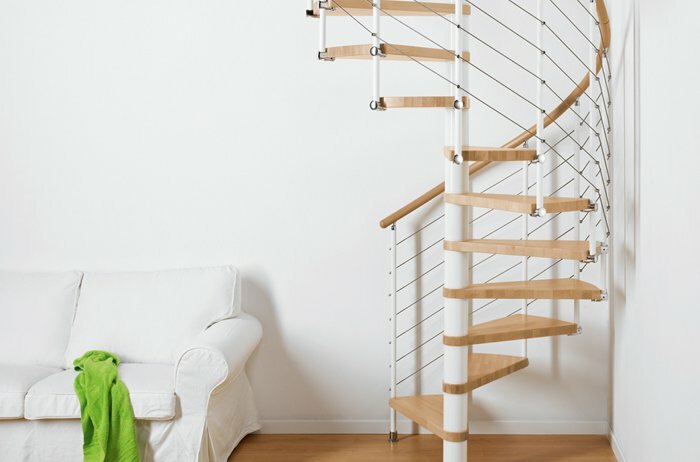 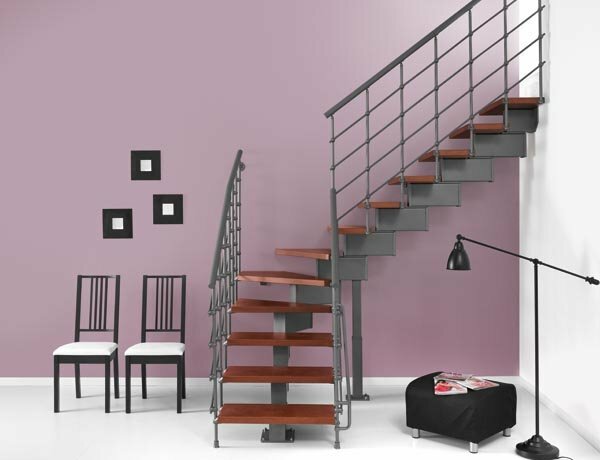 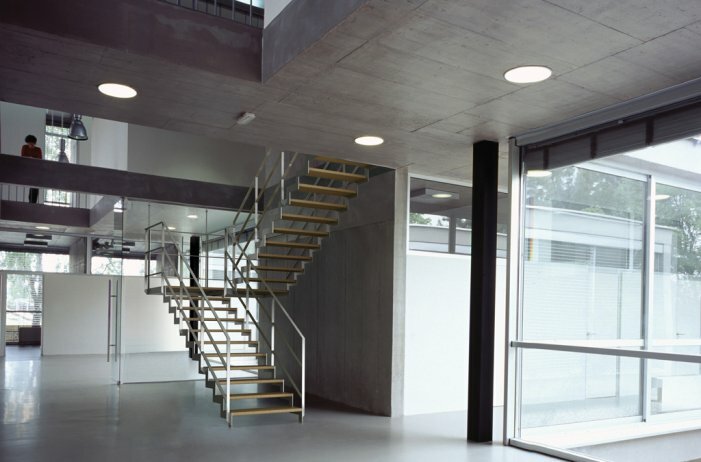 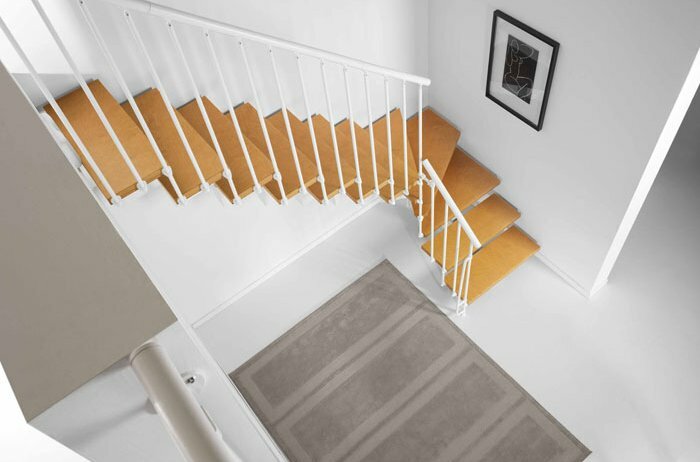 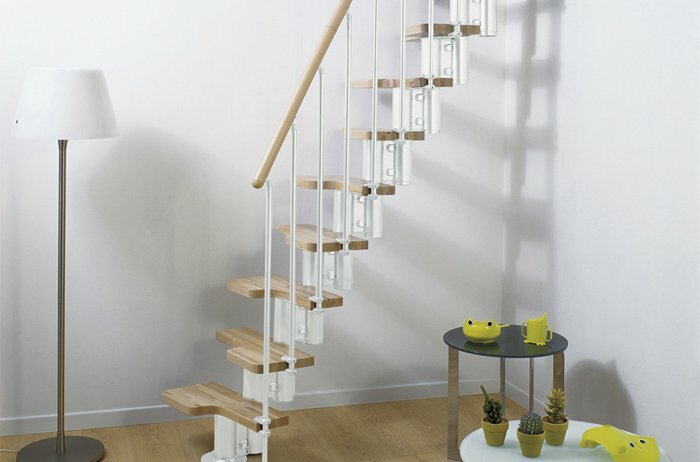 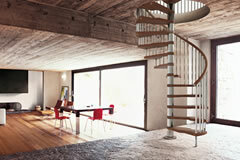 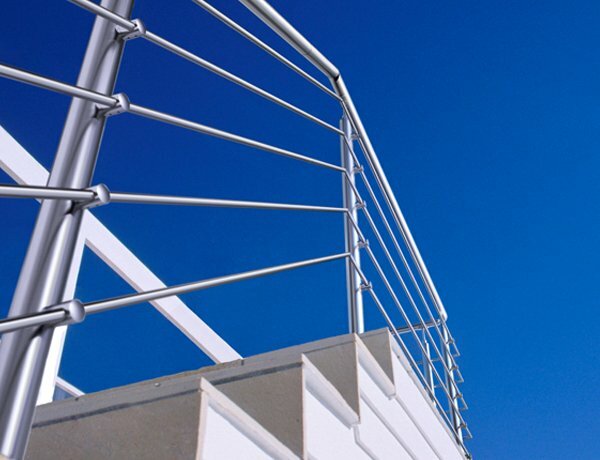 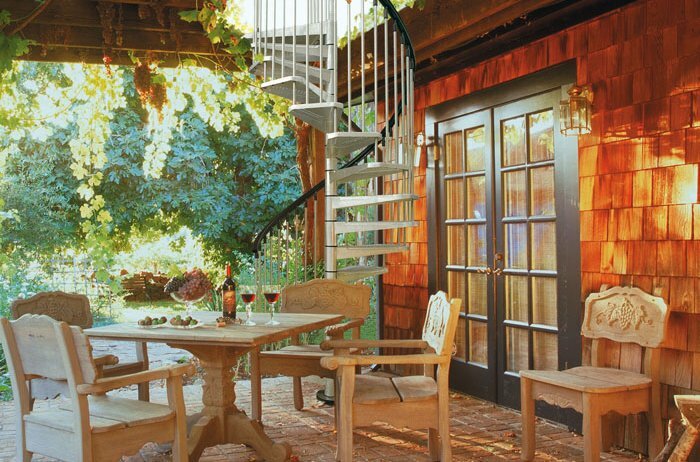 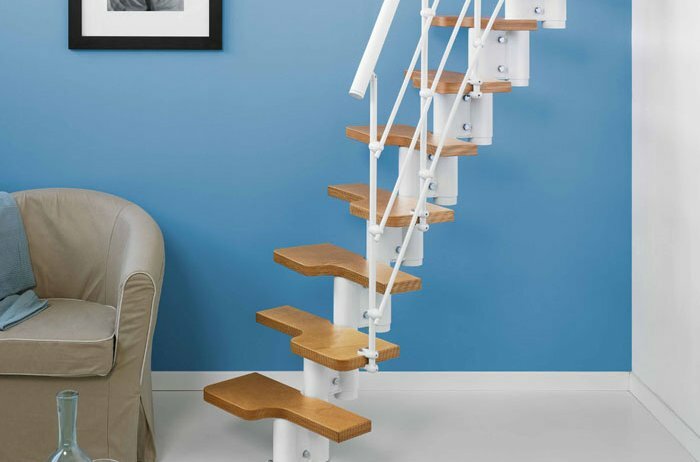 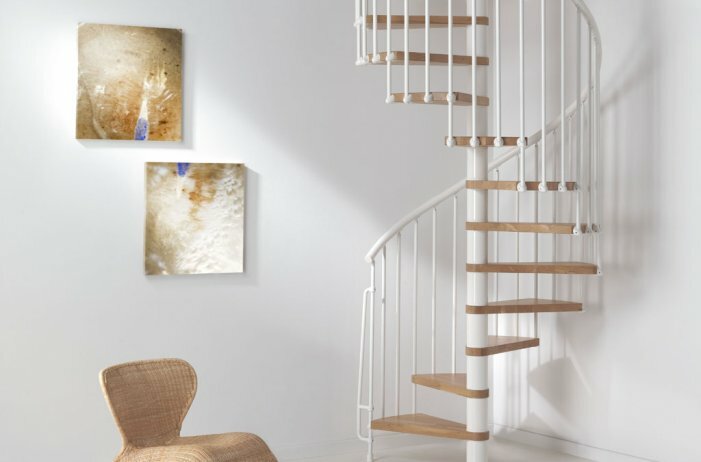 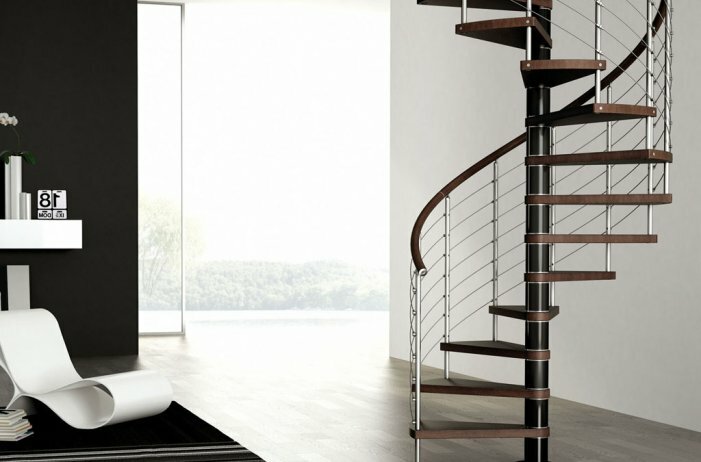 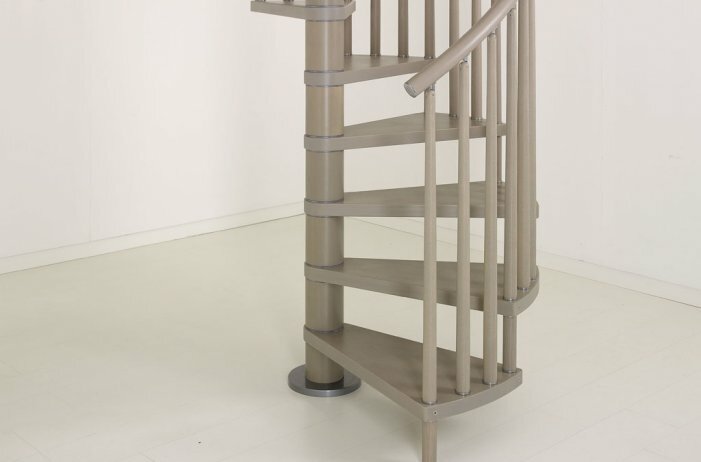 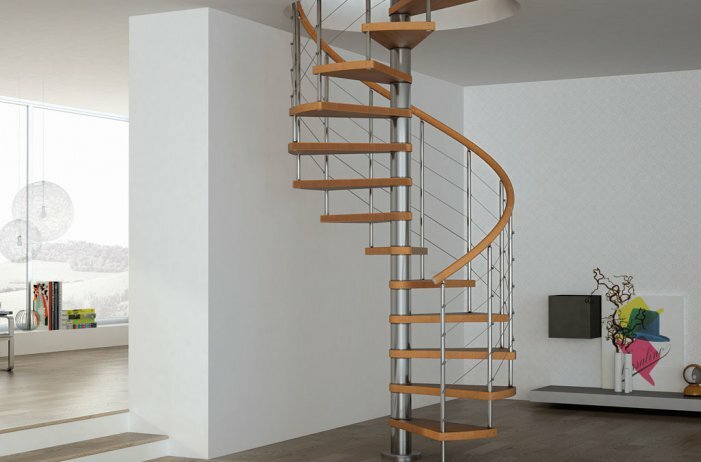 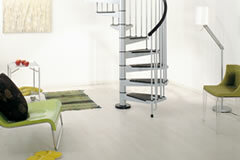 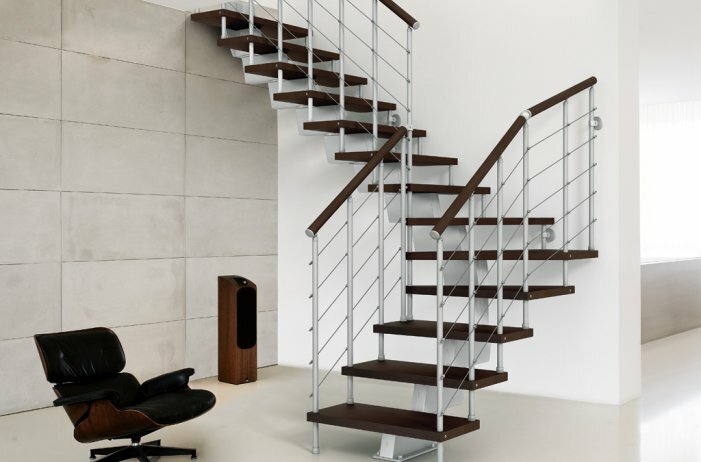 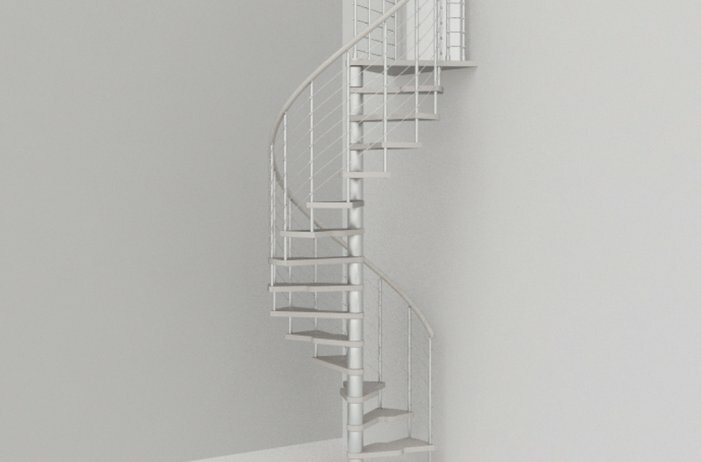 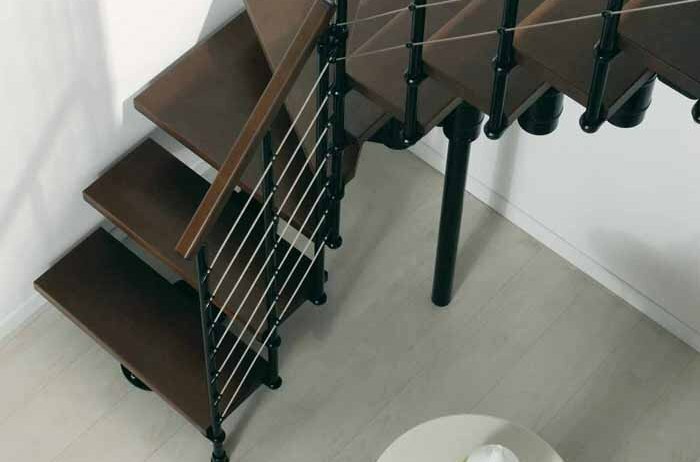 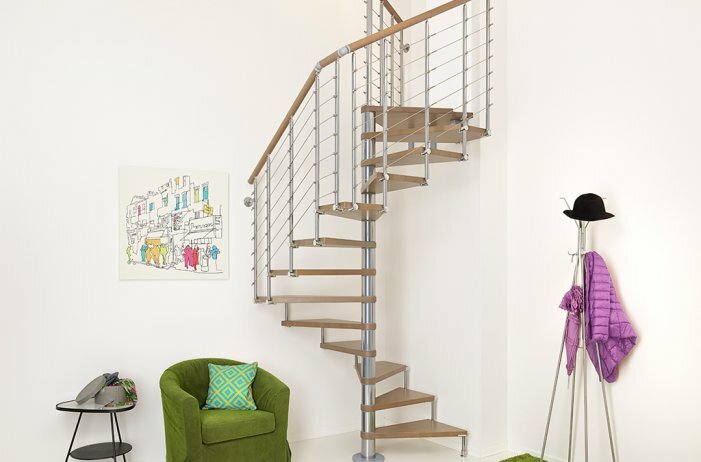 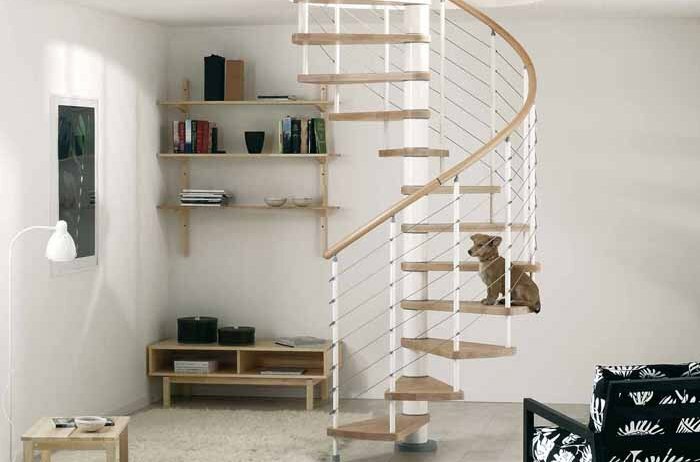 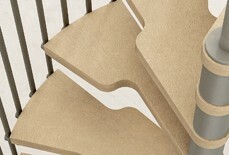 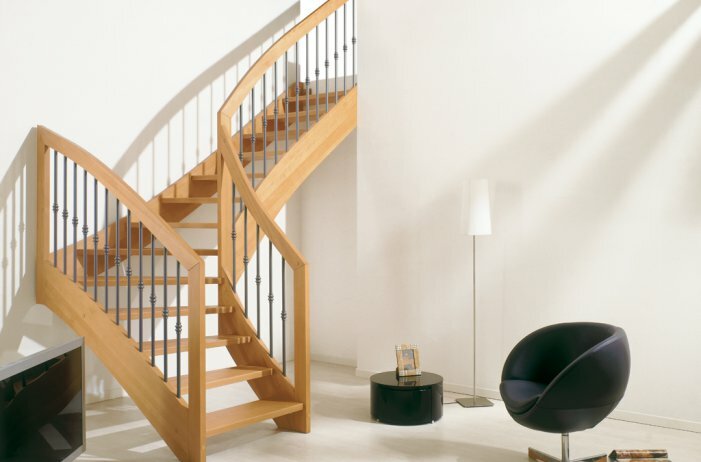 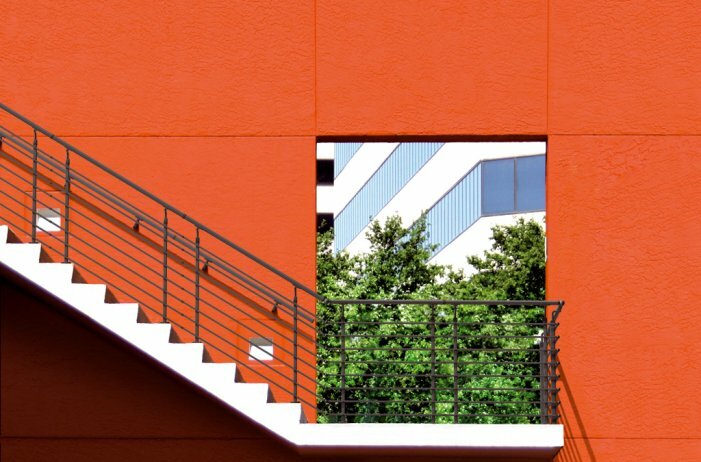 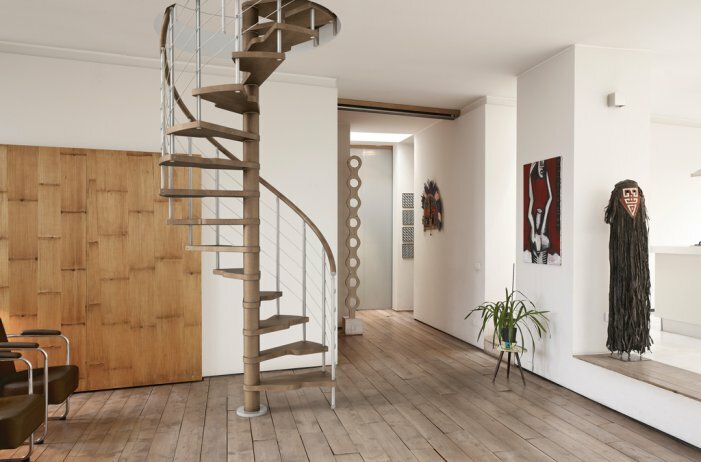 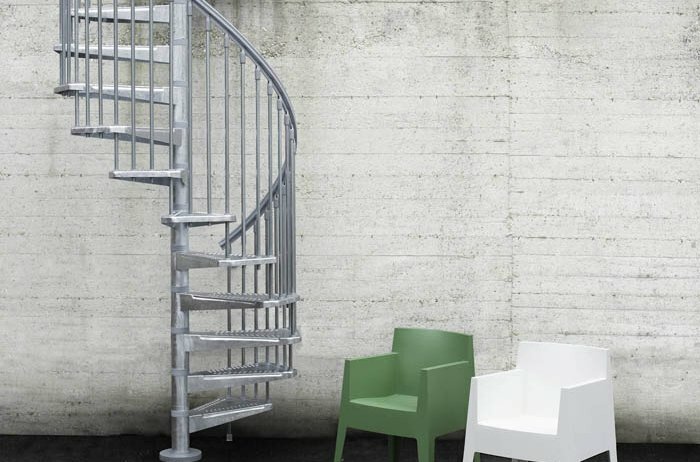 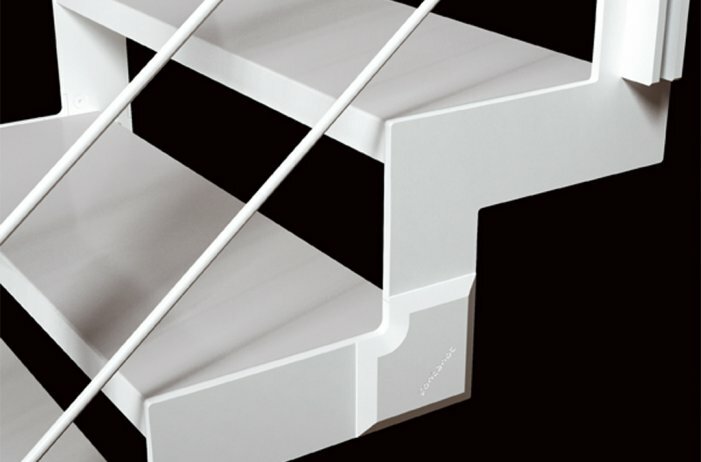 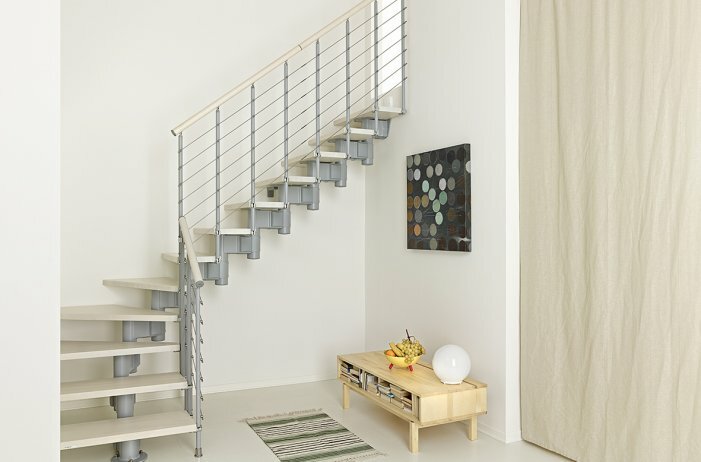 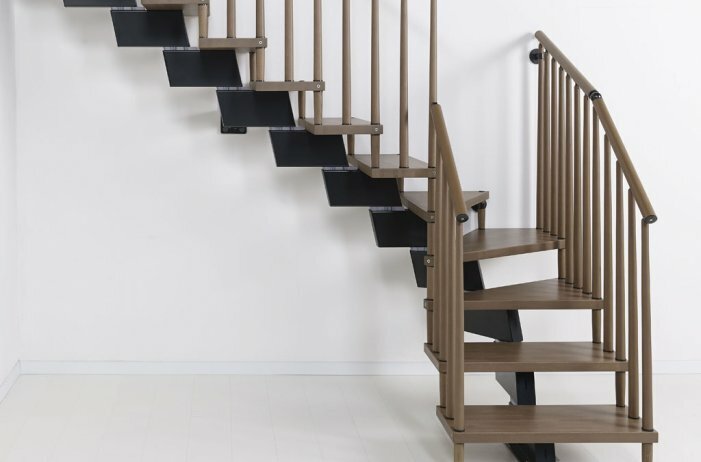 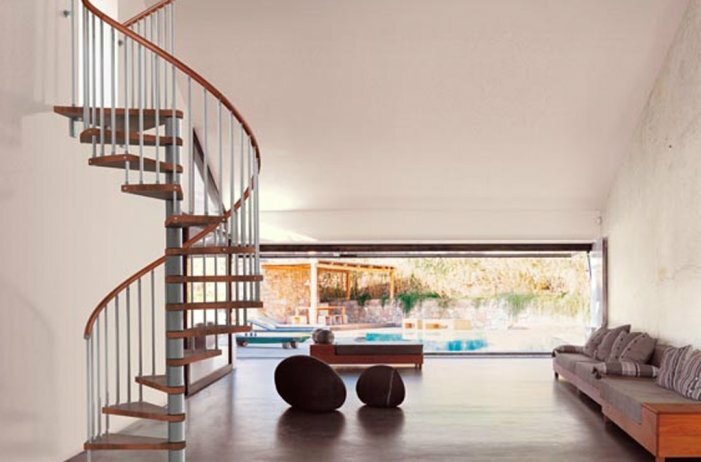 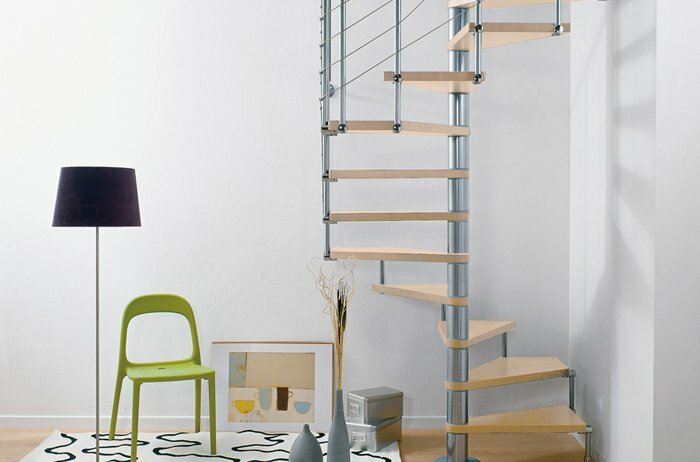 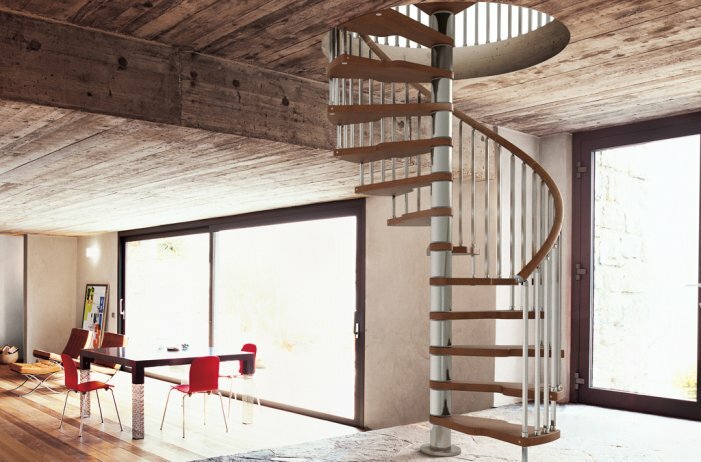 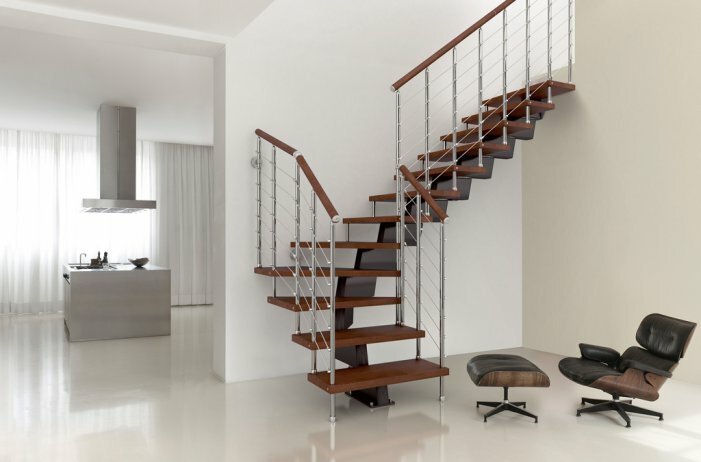 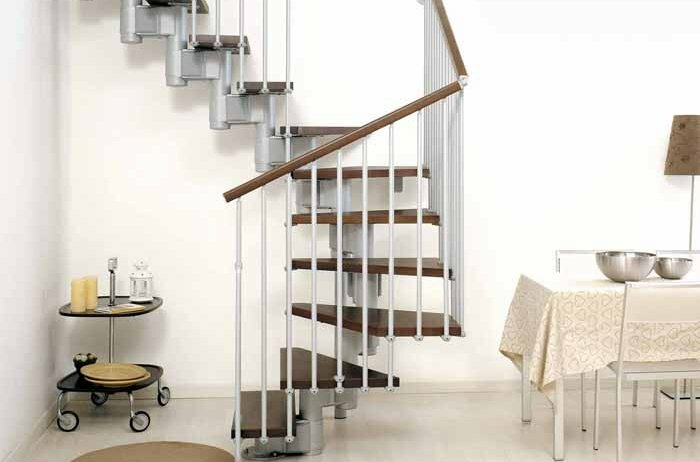 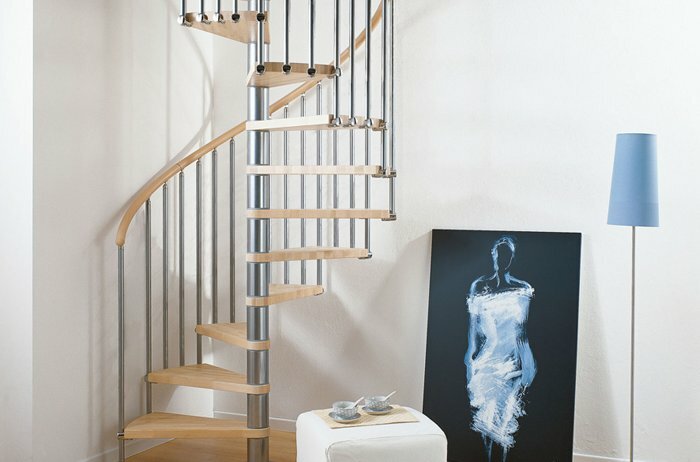 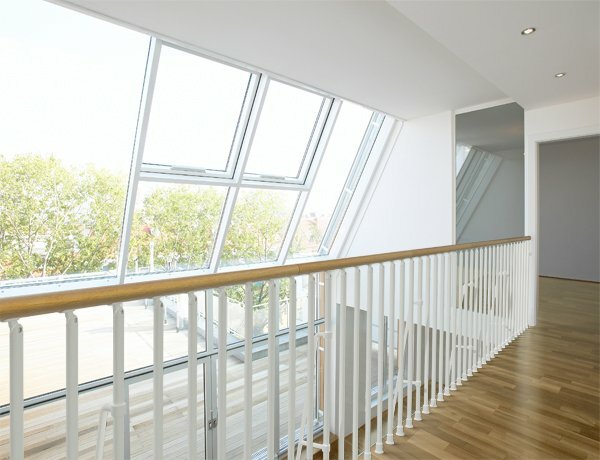 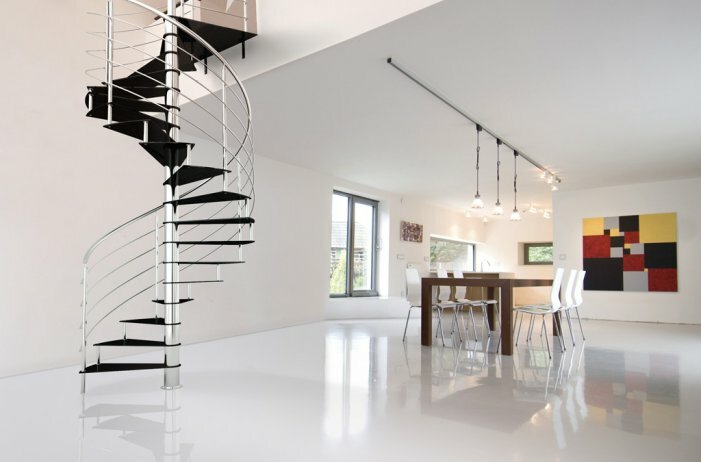 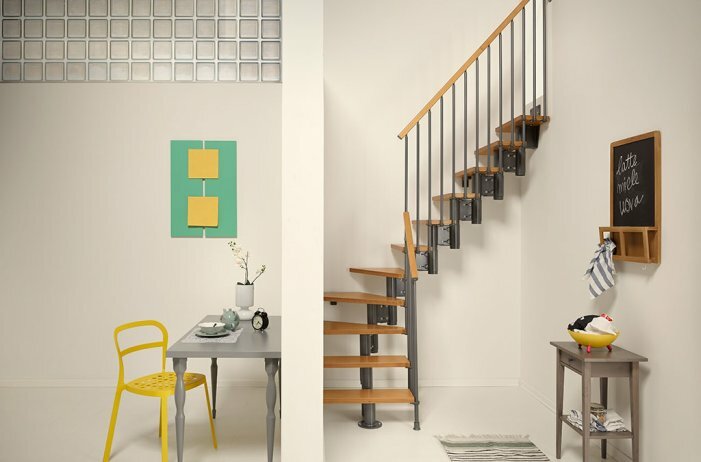 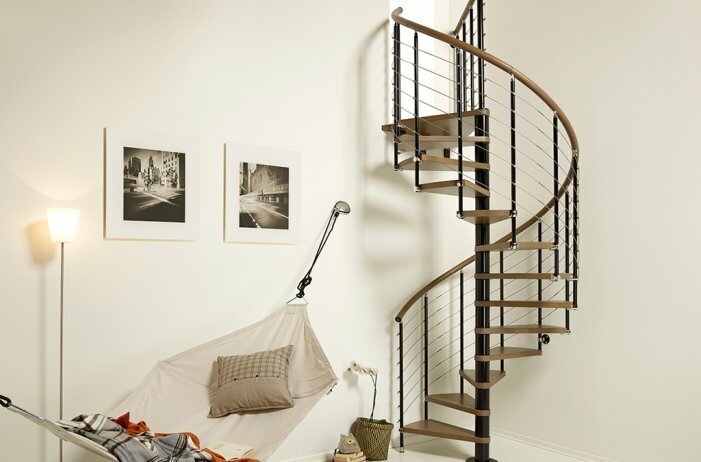 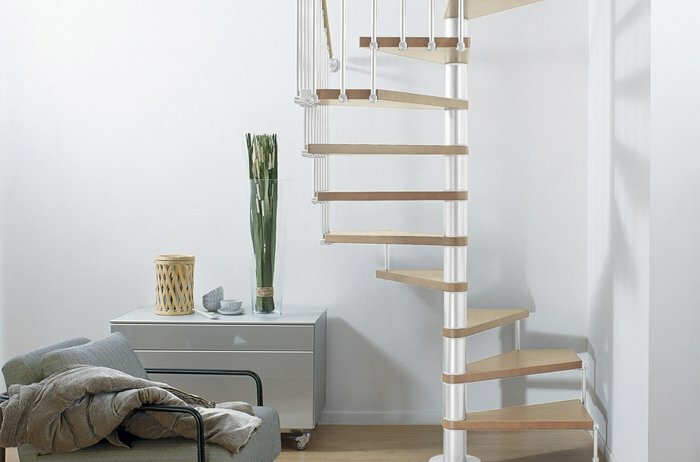 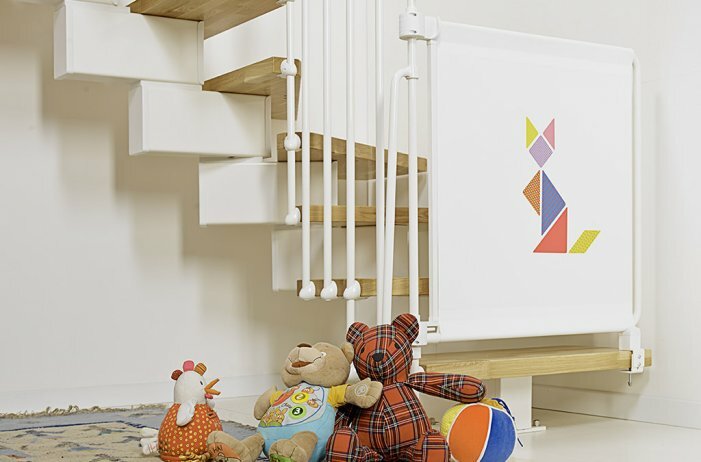 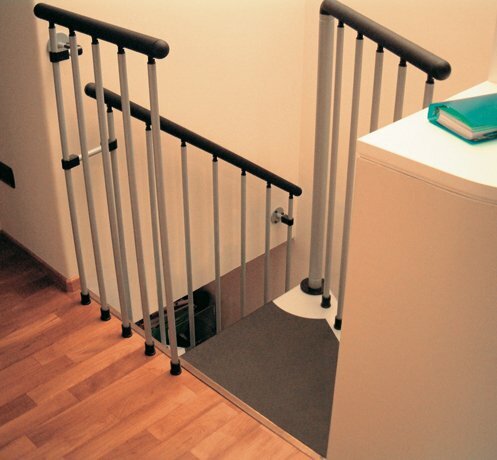 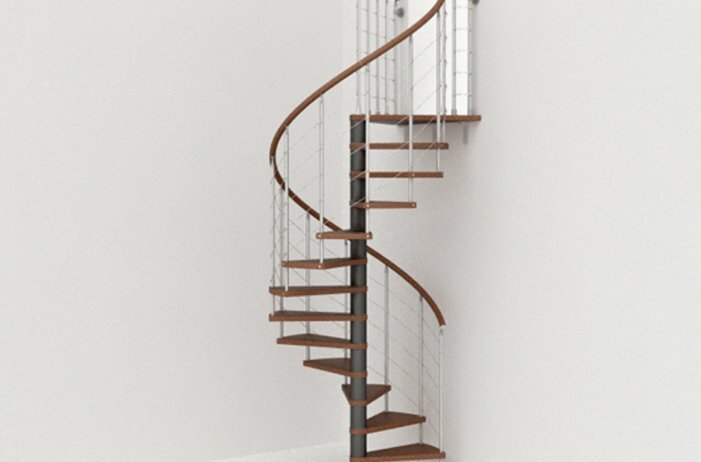 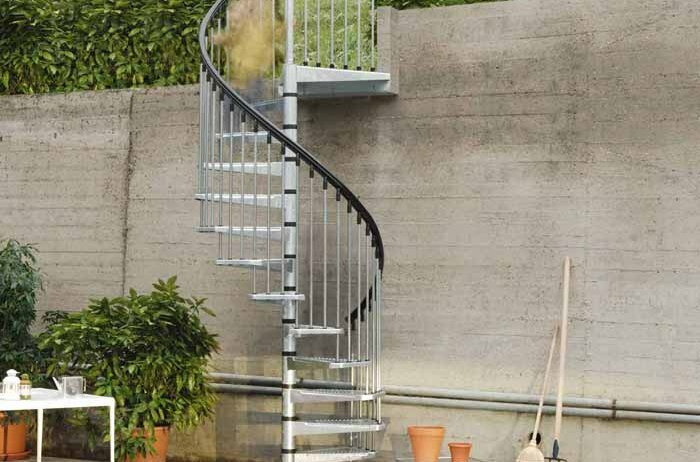 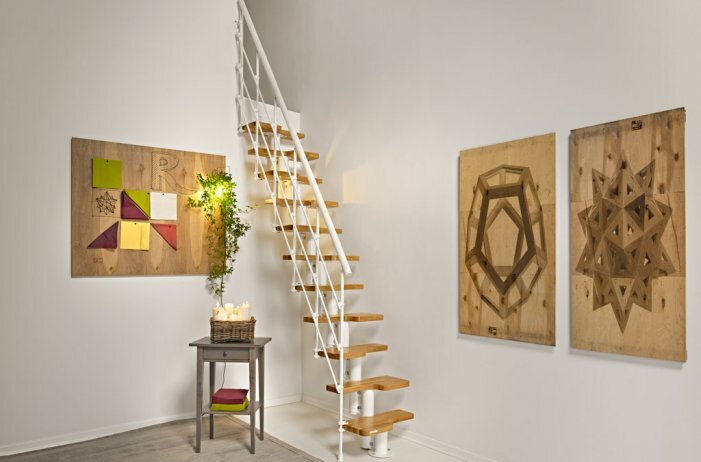 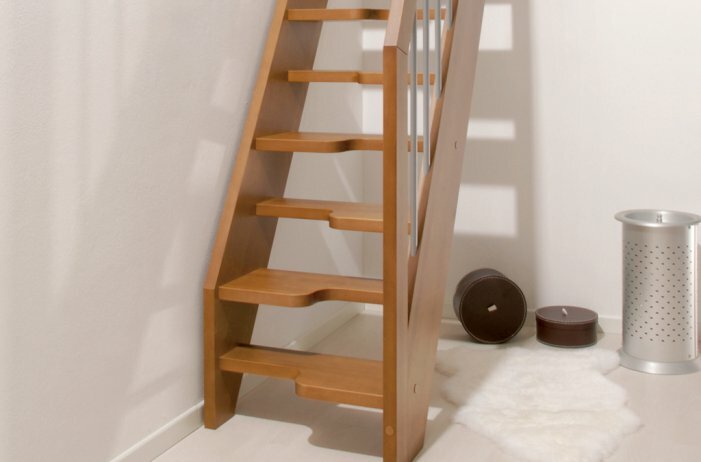 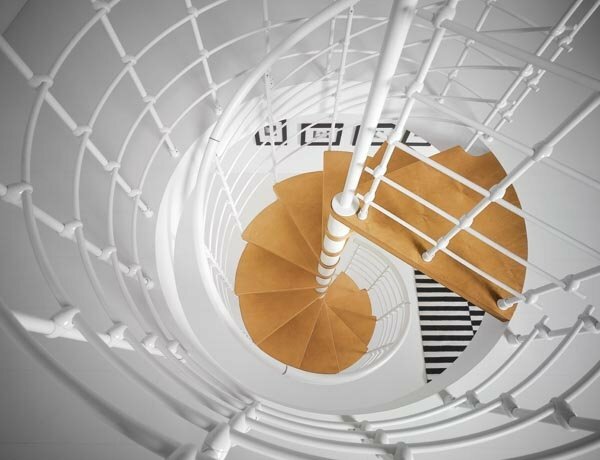 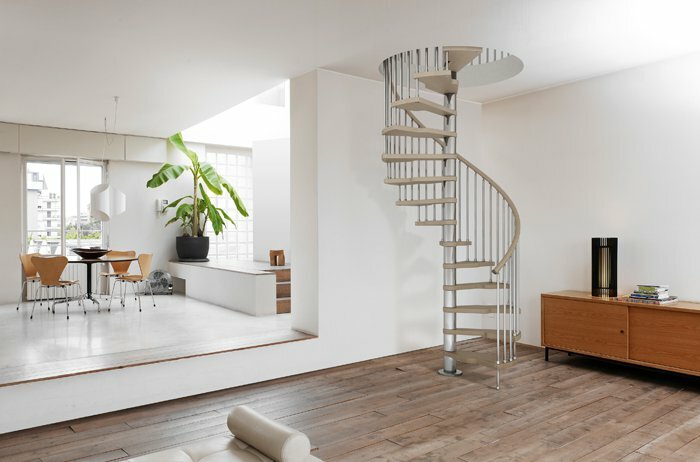 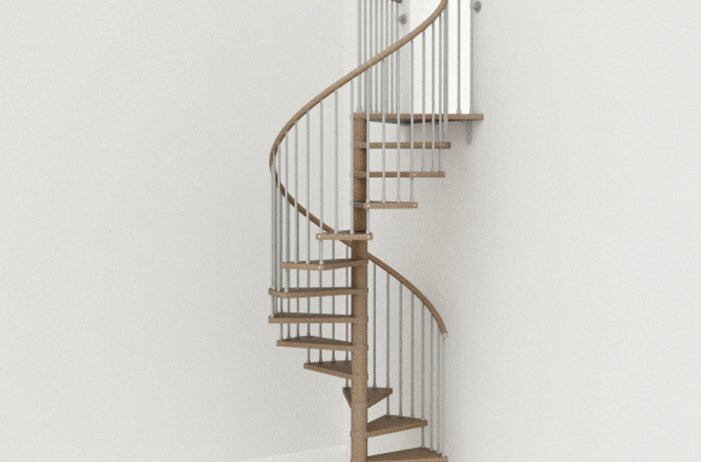 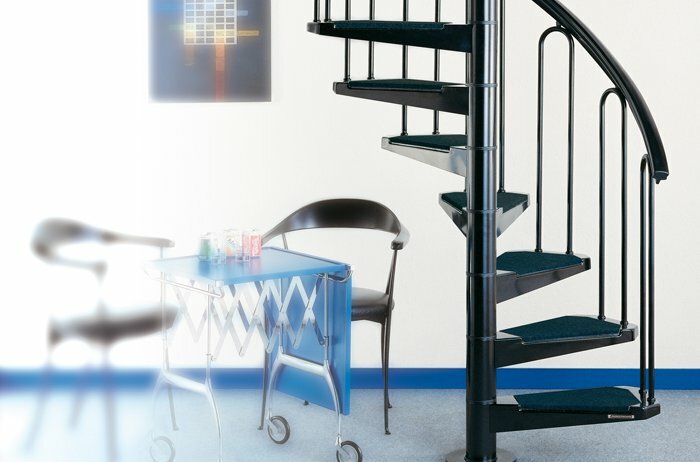 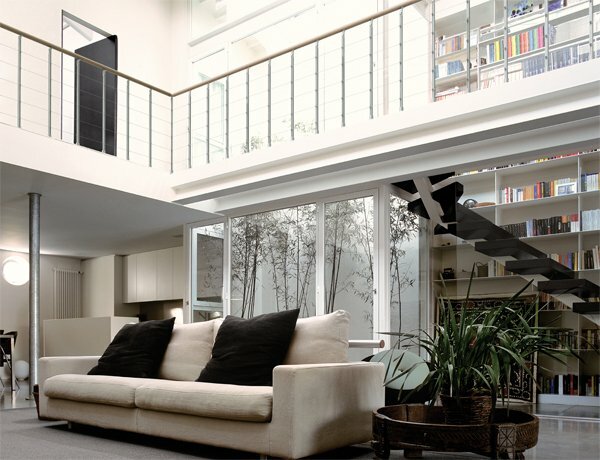 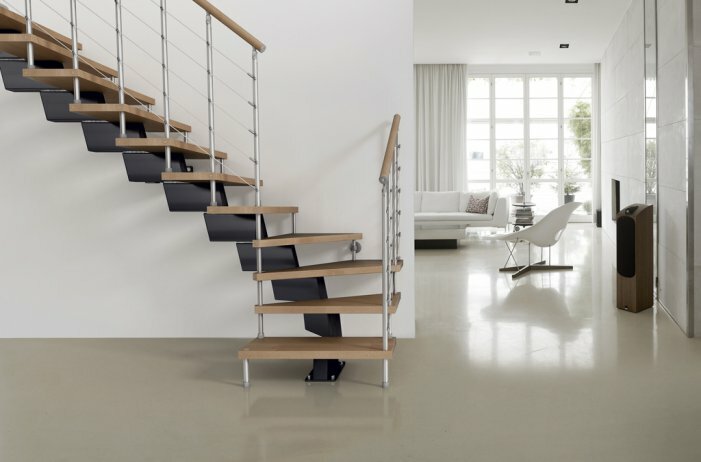 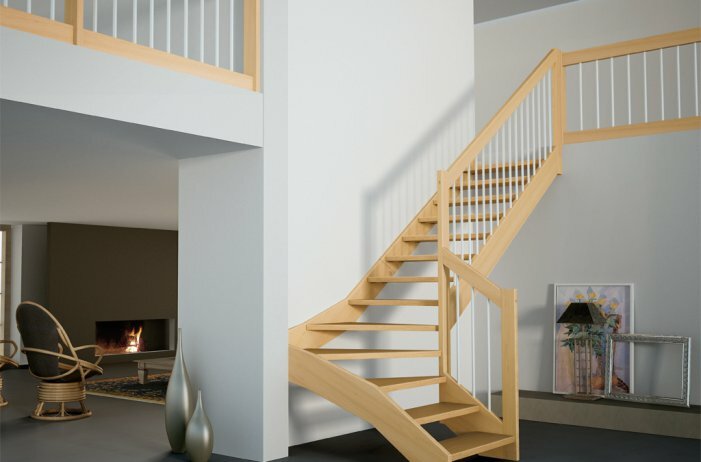 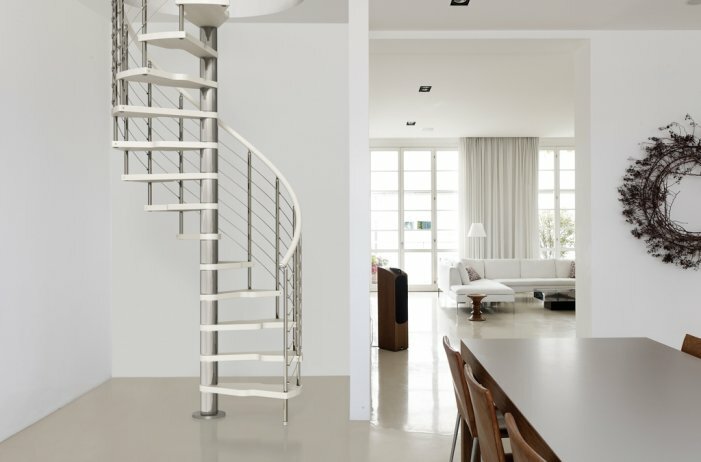 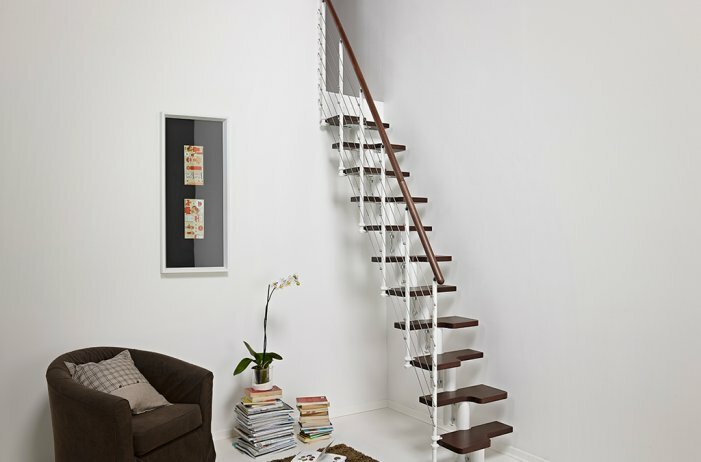 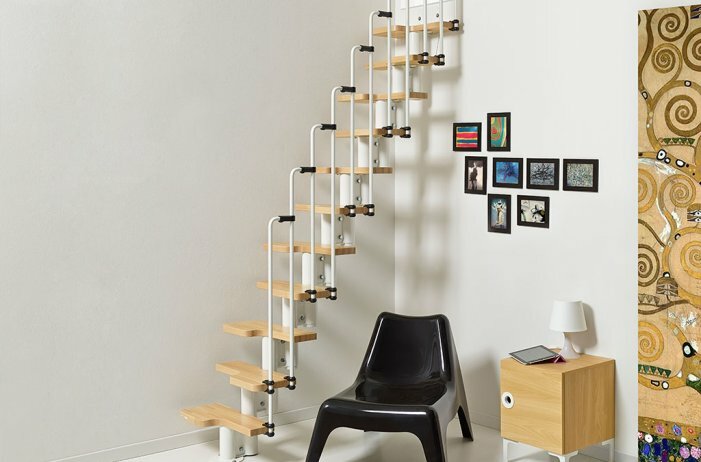 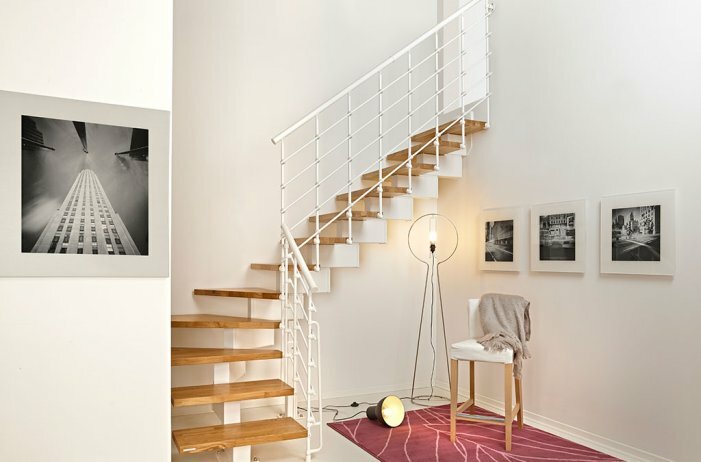 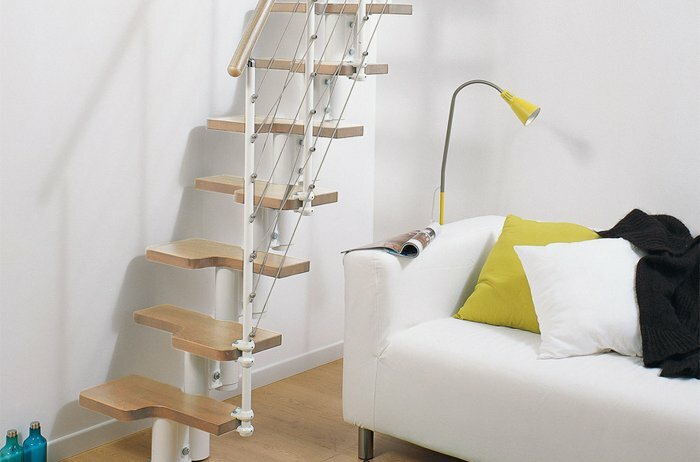 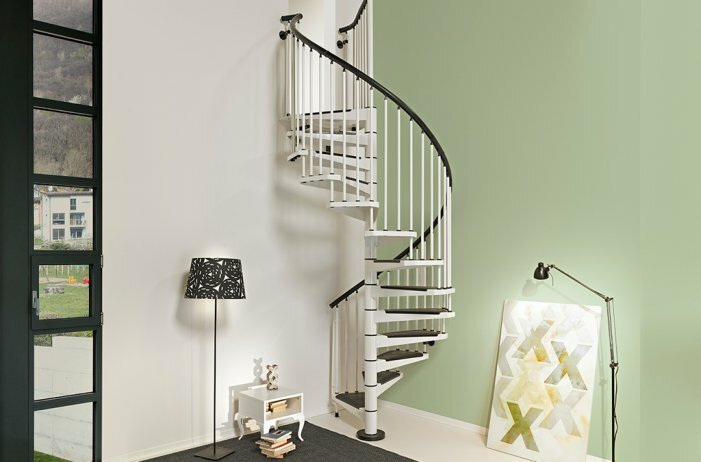 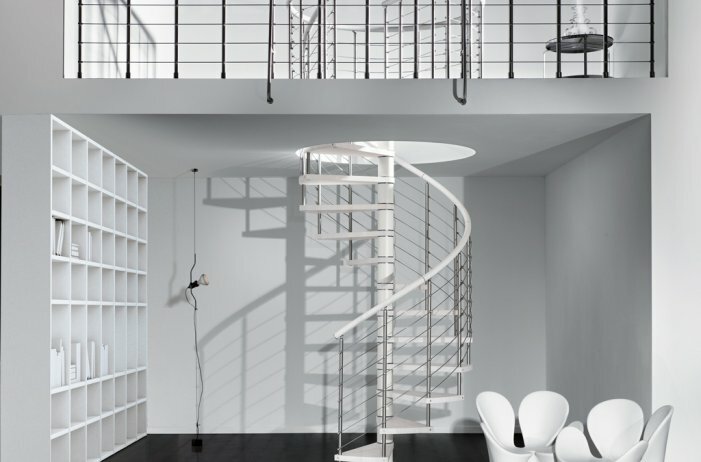 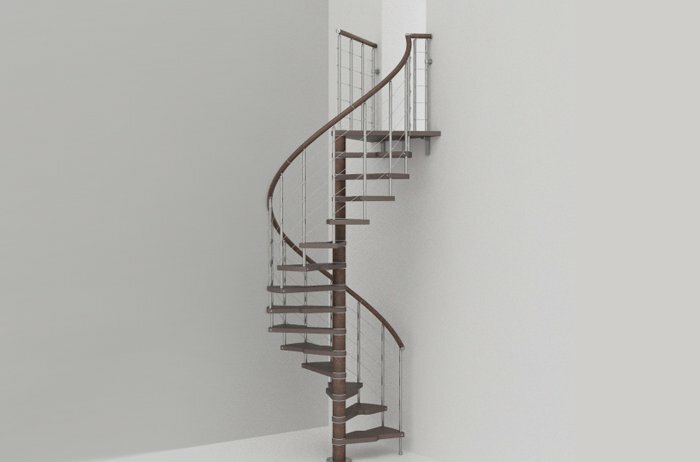 You can find Gus 020 staircases in DIY and building materials shops. 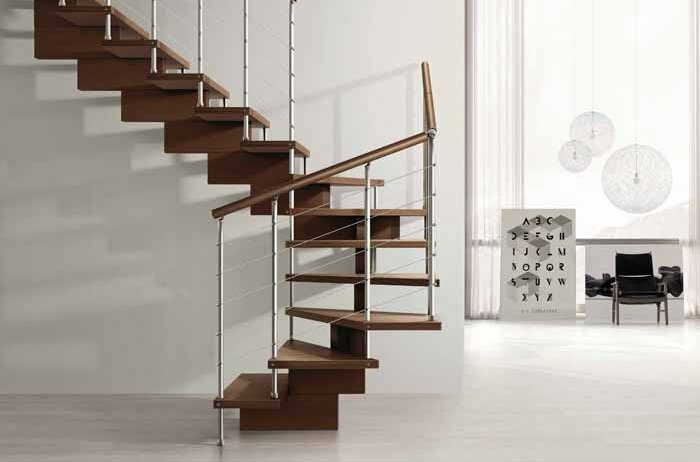 Gus 020 features a solid modular steel structure that blends in perfectly with the elegance and naturalness of the solid beech treads. 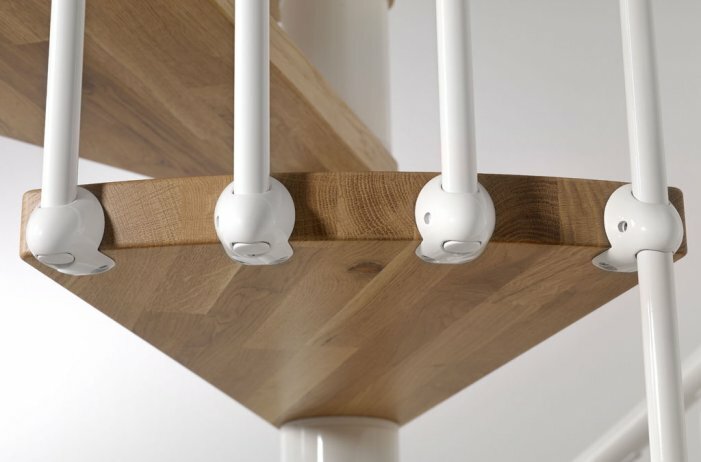 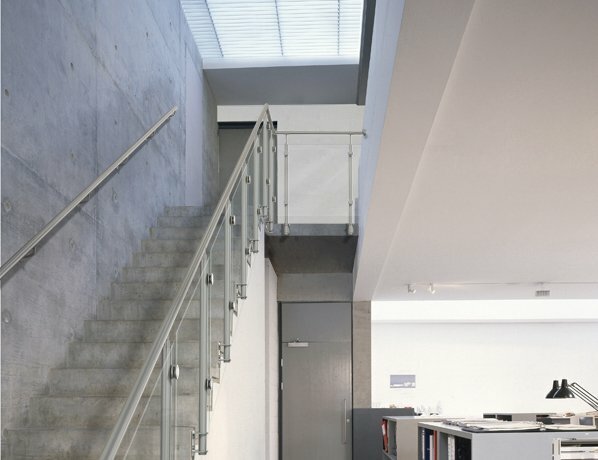 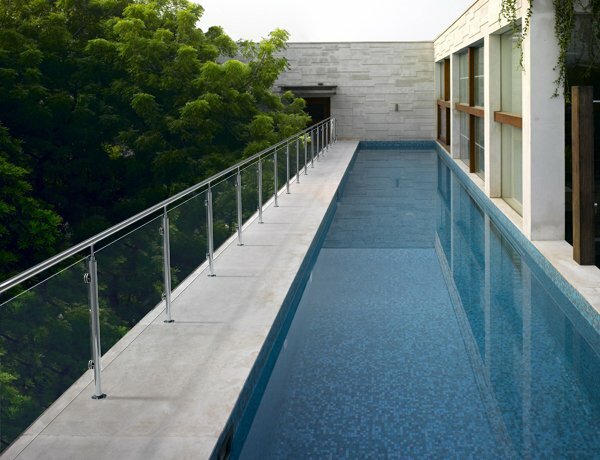 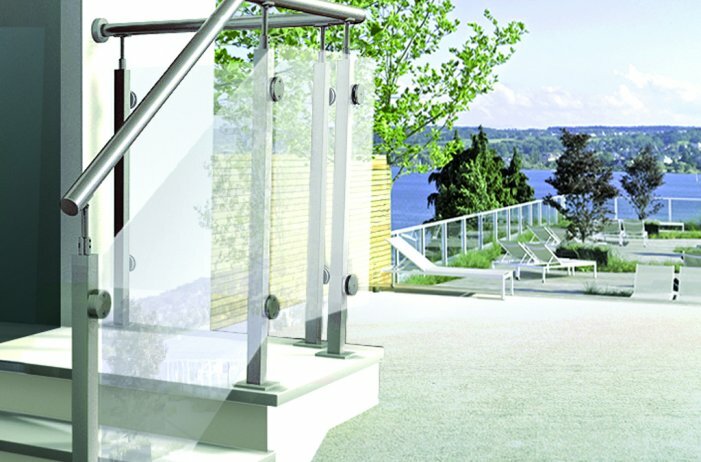 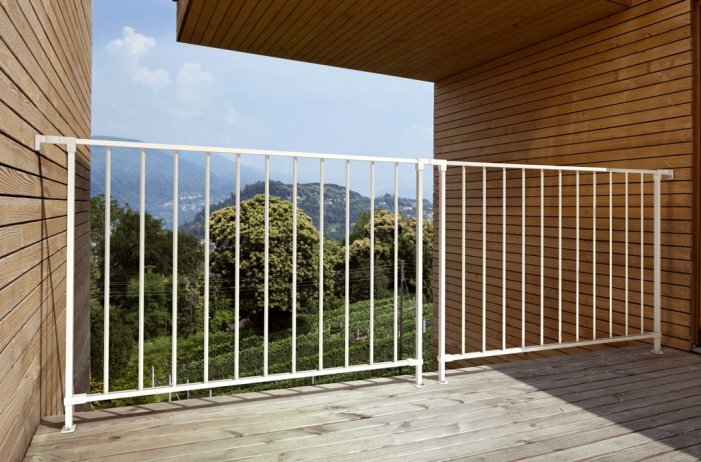 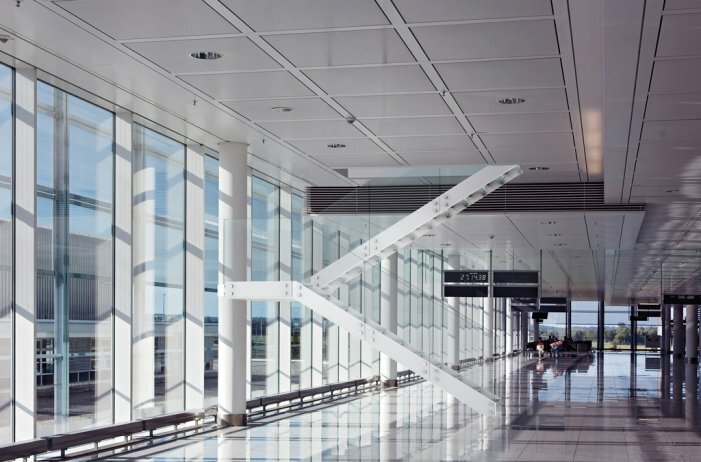 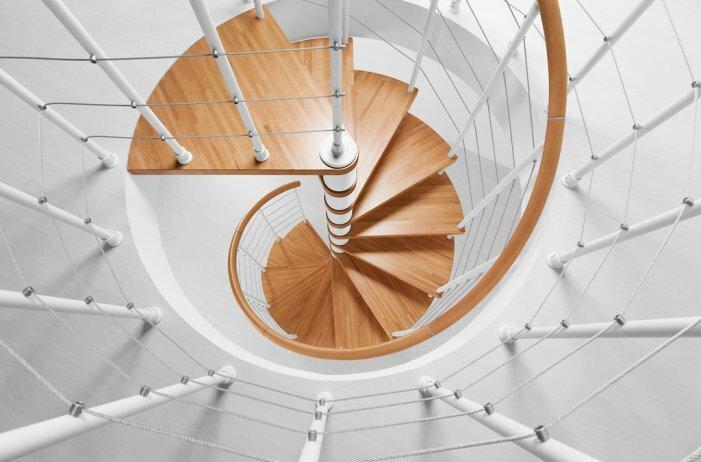 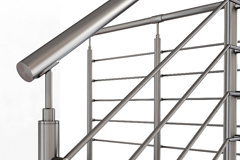 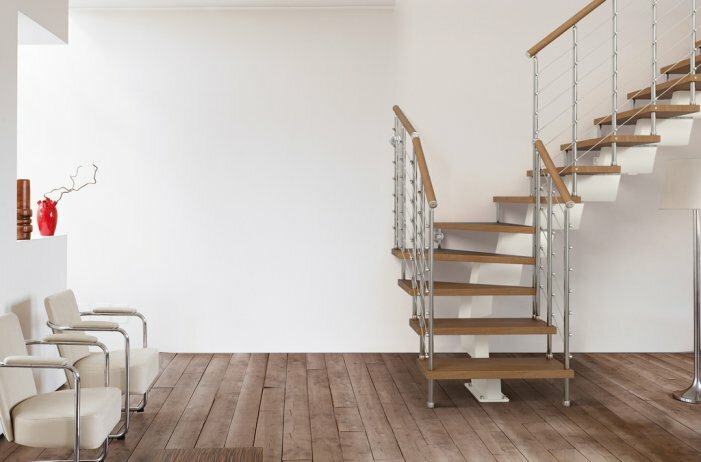 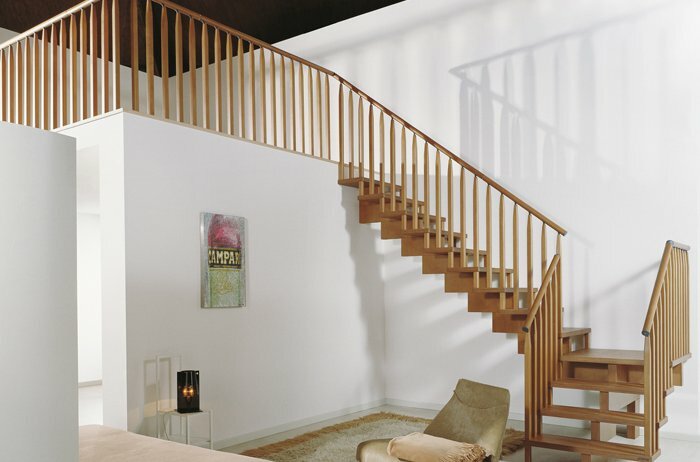 Unlike the Gus 010 model, the solid beech handrail on Gus 020 is anchored to the square cross-section balusters that create a solid and stable geometric impact, thanks to their close spacing. 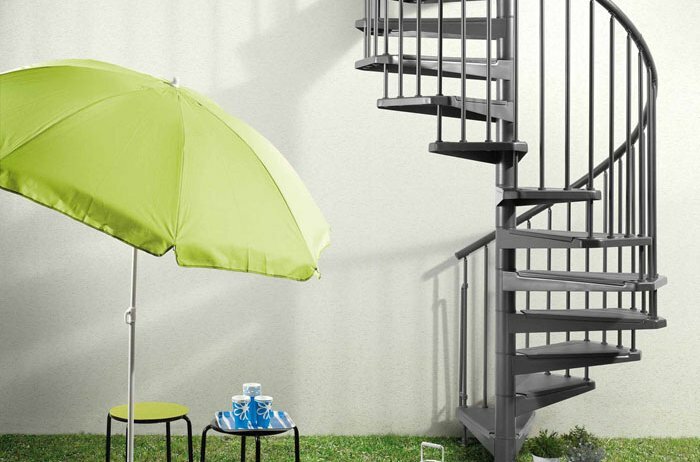 Gus 020 is available in the round configuration and is adjustable in height thanks to the transparent polycarbonate spacer rirgs.